Quality starts with great people who love what they do. The Cal Coast family has over 100 employees dedicated to service and wired for success. Meet your team. 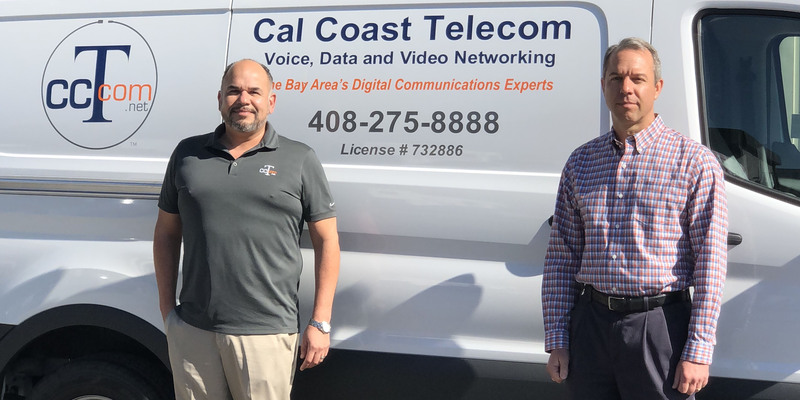 Why choose Cal Coast Telecom? Today, Cal Coast Telecom has over 100 employees who call themselves family. Every one of us is dedicated to providing the highest levels of quality and service, with the dual goals of project success and unsurpassed client satisfaction. Since 1995, we have successfully helped hundreds of local Bay Area companies with all their digital communications needs with most jobs coming from highly satisfied repeat customers and referrals—the best testimonial of all. We are an International Brotherhood of Electrical Workers (IBEW) signatory contractor, and our technicians receive full IBEW Sound & Communications pay and benefits. We always put our clients’ needs first. We demonstrate professionalism and great teamwork in every interaction. We maintain the highest ethical standards in everything we do. We pursue excellence and follow industry best practices to help our clients achieve their goals. To build the best Structured Cabling, A/V, Security and DAS systems anywhere. Our Vision is to make the installation of Structured Cabling, A/V, Security and DAS systems easy through technology, safety and integrity. David’s dedication to quality can be seen in our people, responsiveness, and results. With experience in the Marine Corps and over 25 years in the industry, he knows what it takes to carry out the largest and most complex installations — and he knows how to motivate technicians to maintain a strict adherence to standards. His experience ranges from cabling computer labs of up to 250,000 square feet with channel cables, ESCON fiber optic, and power whips; building out telecommunications rooms; managing one of the first Category 6 data center cabling projects; and creating one of the first 50-micron fiber installations. He’s responsible for Cal Coast Telecom’s quality control, value engineering, safety meetings, and our expanding security department. David’s BICSI certifications include Telecommunications Project Management, Telecommunications Distribution Systems Design, Telecommunications RFP/Bid Estimation, and Grounding and Protection Fundamentals for Telecommunications Systems. A Registered Communications Distribution Designer (RCDD), Rick’s ultimate goal is to help you design and build systems that exceed your expectations and meet the utmost standards of quality and reliability. With a background in electrical engineering, he has a thorough understanding of the industry, specs, and requirements — including the issues surrounding electro-magnetic interference and security. His work on Navy nuclear submarines provided him with a breadth of experience in cabling, plant monitoring and control equipment, electrical power generation, preventive and corrective maintenance, and working in small spaces. He’s responsible for ensuring that the Cal Coast Telecom team stays up-to-date on the latest products, technologies, methodologies, standards, and vendors. In addition to his RCDD certification, Rick holds a B.S. degree in Control Systems Engineering from United States Naval Academy. The Voice News recently covered our installation of data, A/V, and security systems for the New Education Center at Foothill-DeAnza College. We’re always looking to hire the best and brightest in the industry, send us your resume using the form below.